They say a diamond is a girl’s best friend . . . but sometimes, it’s her destiny. When strangers sweep in to save Shiloh Wallace’s rural West Virginia town, she soon realizes her humdrum “human” life will never be the same. The unnerving telepathic event rocks the suspicious high school senior with questions that leaves her desperately seeking the truth. With freak occurrences mounting at every turn, Shiloh finds herself barreling down an unimaginable path that ultimately leads to her destiny. She is a Talisman, an elemental supernatural being who can wield powers drawn from ancient stones that grant her abilities beyond her wildest dreams. 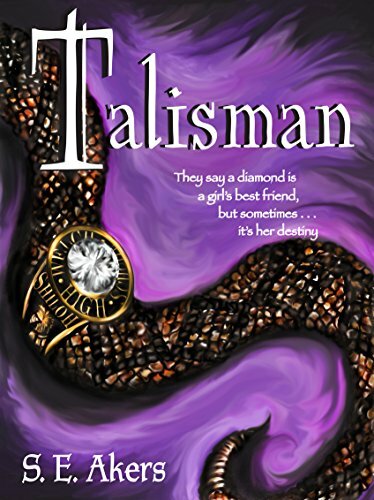 Now, along with the aid of her newfound mentors, Shiloh must come to grips with accepting the illustrious Diamond Wand of Adamas as her fate, while saving her town and those she loves from an evil Talisman hell-bent on destroying everything that stands in his way of claiming her coveted diamond as his own.